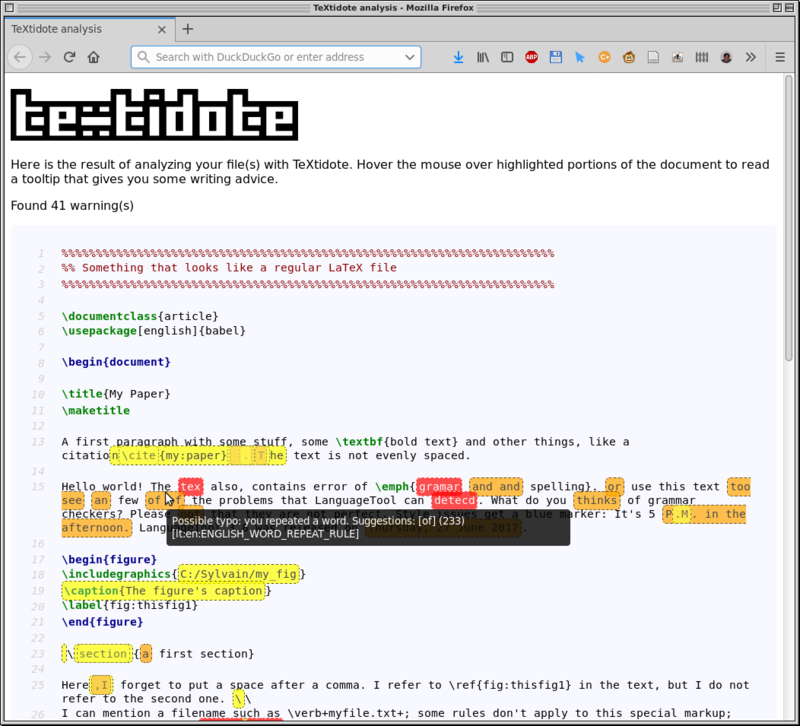 Verify spelling, grammar, style, and run other sanity checks directly from a LaTeX file.  All checks can be done directly on the original source files. No need to clean up markup before processing. 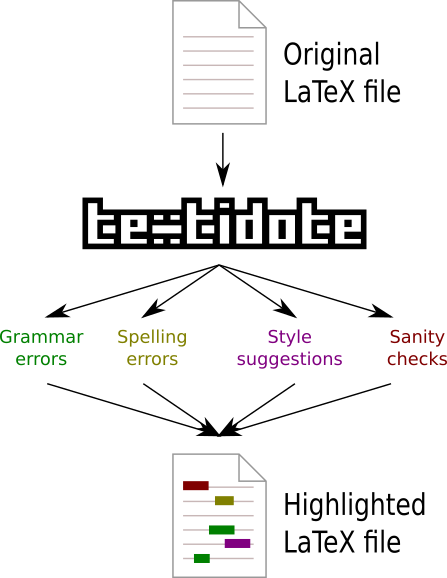 TeXtidote does not only check spelling: it can also verify grammar and style in a dozen languages (based on the Language Tool library). Get a report that highlights your original LaTeX file; hover with the mouse to get comments and suggestions. Have you ever thought of using a grammar checker on LaTeX files? If so, you probably know that the process is far from simple. Since LaTeX documents contain special commands and keywords (the so-called "markup") that are not part of the "real" text, you cannot run a standard grammar checker directly on these files: it cannot tell the difference between markup and text. The other option is to remove all this markup, leaving only the "clear" text; however, when a grammar tool points to a problem at a specific line in this clear text, it becomes hard to retrace that location in the original LaTeX file. TeXtidote solves this problem; it can read your original LaTeX file and perform various sanity checks on it: for example, making sure that every figure is referenced in the text, enforcing the correct capitalization of titles, etc. In addition, TeXtidote can remove markup from the file and send it to the Language Tool library, which performs a verification of both spelling and grammar in a dozen languages. What is unique to TeXtidote is that it keeps track of the relative position of words between the original and the "clean" text. This means that it can translate the messages from Language Tool back to their proper location directly in your source file.